A podcast about all things Macintosh. For Mac geeks, by Mac geeks. Episode 566. New MacBooks may still be coming. Apple Music adds another ‘show’. Apple Pay coming to web. Apple’s cables/adapter enhance iPads. The bigger bigger iPhone. iOS 9.3 causing issues for some. DOJ successful unlocks the iPhone. Apple Store new design opens in Memphis. iPhone SE and iPad Pro 9.7 sales. Clearing up my legal terms. Other health benefits of Night Shift. Customized News Reading. Scrubbing in tvOS 2.2. A Liam in every Apple. A podcast about all things Macintosh. For Mac geeks, by Mac geeks. Episode 565. 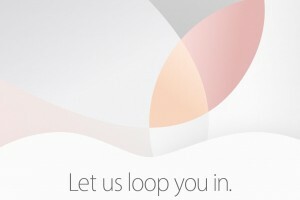 Apple’s ‘Let us loop you in’ event. What about the Macbooks? FBI postpones trial with Apple. Apple Pay adds more banks, still struggles. Apple wants it’s own cloud. More on the iPhone 7. Apple’s privacy czars. Disappointed in the Apple event? It’s your fault. Using Night Shift. Locking Notes. No trash can in iOS. Why? Thing of the Moment: CultCloth. A podcast about all things Macintosh. For Mac geeks, by Mac geeks. Episode 564. Apple’s event confirmed for March 21st. iPhone 7 rumors increase. Apple’s FBI fight heightens encryption debates. Apple News gets new ad formats. Ransomware follow-up. Flaky HomeKit? Check your router. Mail Move To Shortcuts. Thing of the Moment: RadTech Sleevz for iPad Pro. A podcast about all things Macintosh. For Mac geeks, by Mac geeks. Episode 563. Apple OLED iPhone in 2017. Apple Pay a hit in China. Apple passes on Thursday night NFL. DA implies San Bernardino iPhone houses a ‘cyber pathogen’. Mac’s will support Oculus when they’re “good”. Apple wants to sell used iPhones in India. Mac’s first ransomeware. Follow up to Apple vs. FBI. Your old OS X USB installer might not work. How to stop ransomeware. HomeKit exercise in frustration.